It’s almost lunchtime at Battle Ground High School, which means it’s just about time for the school’s iQ Credit Union branch to open. Once the bell rings, the bank’s lobby quickly fills with students waiting to deposit a check or withdraw some cash ahead of the weekend. Despite the rush of customers, BGHS seniors Emmie Rhoades, Tori Abernathy, and Cambrie Korpela stand patiently and confidently behind the counter, well equipped to weather whatever rush comes their way. These seniors are part of business teacher Kevin Weeks’ Financial Operations class. Going back to 2001, the class and its students have been tasked with running and operating the high school’s very own bank branch. 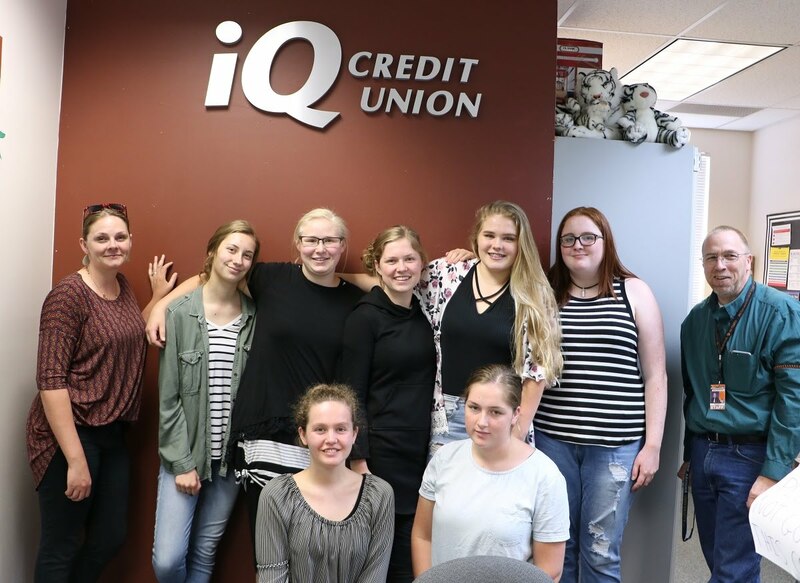 And this isn’t just a make-believe, practice bank—it’s an honest to goodness, nearly-full-service branch of iQ Credit Union, and the students running the show graduate with years of experience working behind the counter and behind the scenes to keep operations running smoothly and accurately. 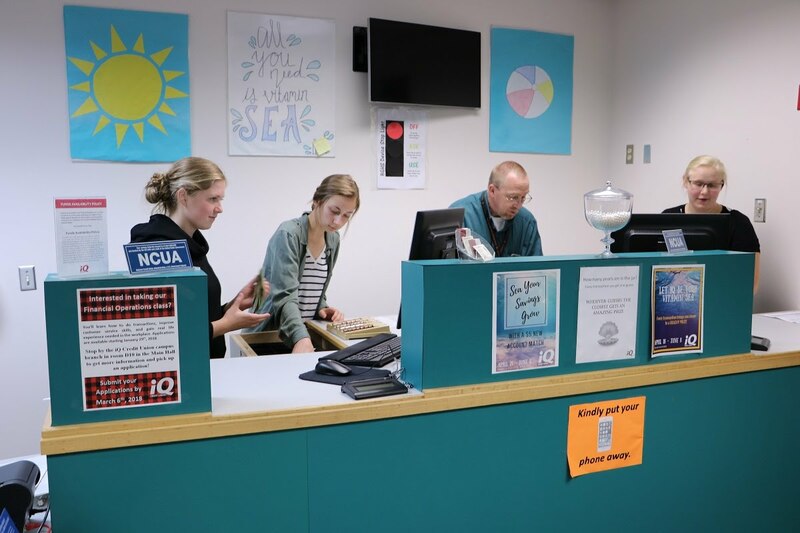 Besides operating the bank, the class and its 15 or so students also manage human resources, marketing, and communications functions for the branch. The students gain real-world job experience and build connections that often lead to paid jobs after high school, and students hired as paid interns can earn additional high school credits through the Work-Based Learning program. The program is one of Battle Ground Public Schools' Career and Technical Education (CTE) paths that students can take in high school. CTE programs provide hands-on training in skills that help students get jobs or prepare them to continue their educations. These programs are key strategies in meeting one of the district's goals: Support the future success of all students by preparing them to be career and college ready at graduation. In Battle Ground schools, approximately 200 CTE classes are taught each semester in 36 content areas by teachers who have worked in the industry they are teaching. In Battle Ground High's Financial Operations class, seniors Rhoades, Abernathy and Korpela all have similar stories to tell about their experience. All three started as sophomores working behind the scenes on marketing, human resources or auditing assignments before becoming managers or assistant managers of the iQCU BGHS branch, where they work behind the counter handling cash and processing customer transactions. All three were eventually hired to work part-time as paid interns at external, full-service iQCU branch locations. Tori Abernathy was hired as an intern at the Battle Ground branch last July, working full-time over the summer and then part-time throughout the school year. 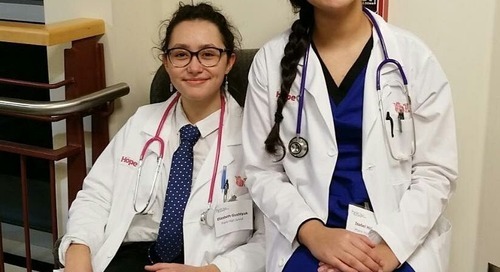 She impressed her employers so much that she was offered and accepted a full-time job, which she’ll start right after graduating from high school in a few weeks. Emmie Rhoades echoed the sentiment of finding career direction thanks to the class and the resulting internship. Starting out as a communications officer in the class her sophomore year, she didn’t have a clear idea of what she wanted to do after high school. She advanced to an assistant branch manager role her junior year and was hired as an intern at the Ridgefield branch. After graduating, she plans to continue working at the Ridgefield location and is seeking a full-time, permanent position. Kevin Weeks estimates that five to 10 students are hired each year as paid interns through the campus programs. In fact, the last manager at iQCU’s main Battle Ground branch location was a graduate of BGHS who worked her way up through the high school’s program.